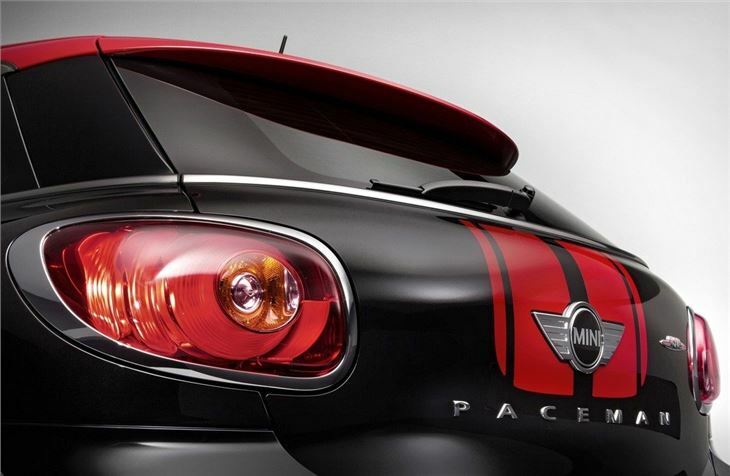 News that the John Cooper Works version of the MINI Paceman will be unveiled at the 2013 Detroit show means that the JCW family is now extended to seven cars. The latest addition boasts room for four, a maximum speed of 140mph, and a starting price of around £30,000. 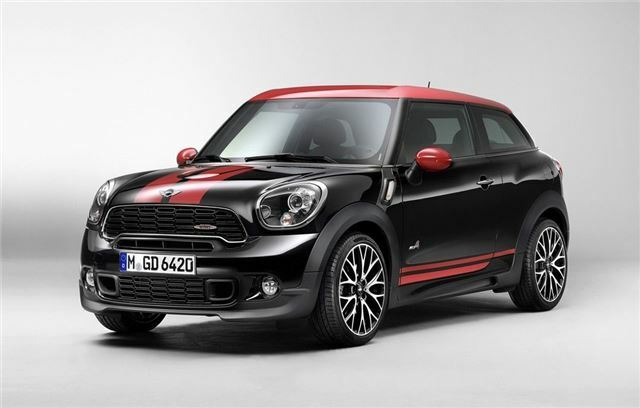 The new MINI Paceman derivative shares its engine with the existing Countryman JCW - a 215bhp 1.6-litre turbo petrol engine combined with MINI’s four-wheel drive ALL4 transmission set-up. Torque is rated at 280Nm (207lb ft) at 1900-5000rpm, but can overboost to 300Nm (221lb ft) for short periods at 2100-4500rpm. 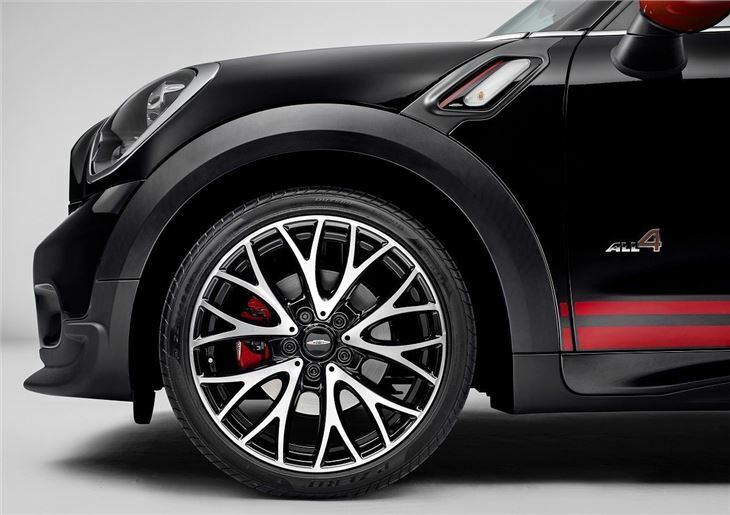 The company describes the Paceman JCW as the first Sports Activity Coupé of its type, although at near-Range Rover Evoque money (with considerable overlap when optioned-up), it will be facing some stiff opposition. The standard transmission is a six-speed manual, but a paddle-controlled six-speed CVT ‘Steptronic’ automatic is optional - and this car's baseline is expected to be more than £30,000 - making this the first MINI to break the £30K barrier as its base-point. 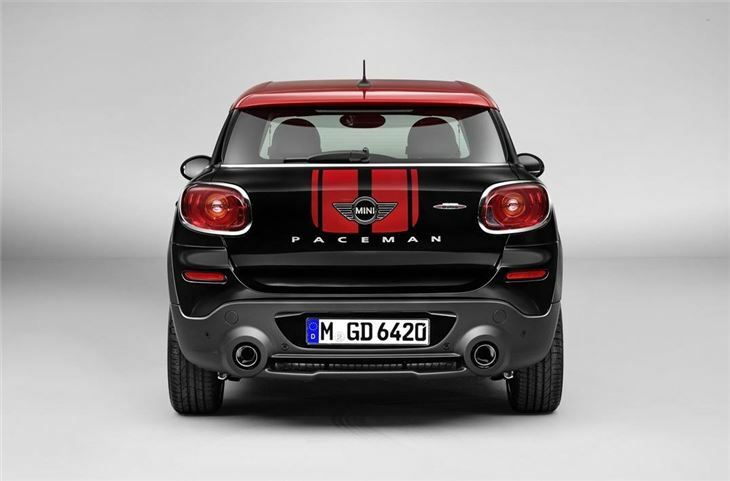 Performance figures for the Paceman JCW are 0-62 mph in 6.9 seconds (it's the same for the manual or Steptronic) with maximum speeds of 140mph/139mph depending on the gearbox (the Steptronic is the slower of the two). Fuel consumption is 38.2mpg (35.8mpg for the Steptronic) and CO2 emissions 172g/km (184gkm). Suspension and damping changes are extensive. Suspension has been lowered by 10mm-lower and the stability control system also receives an interesting new DTC mode, which means that keen drivers can exploit the ALL4's rear-biased torque-split (it can send 100 per cent of its torque to the rear wheels if necessary). 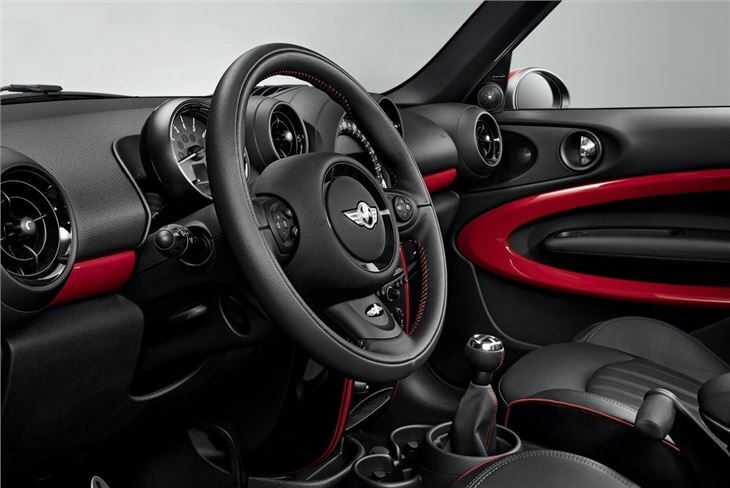 The Paceman JCW’s interior has been restricted to four seats only, and the it's a joy if you're a fan of red detailing. The sports steering wheel features red contrast stitching and John Cooper Works logo, and that's matched by red contrast stitching for the gear gaiter and floor mats. Lounge Leather sports seats in Carbon Black Championship Red are available as an option. Standard Piano Black interior trim strips finish off the strong red/black theme. Outside, the red/black is likely to divide opinions, especially the fat, twin-stripes that run along the length of the car, beginning at the bonnet The aerodynamic kit is also quite prominent - so there are new front and rear aprons as well as side skirts. 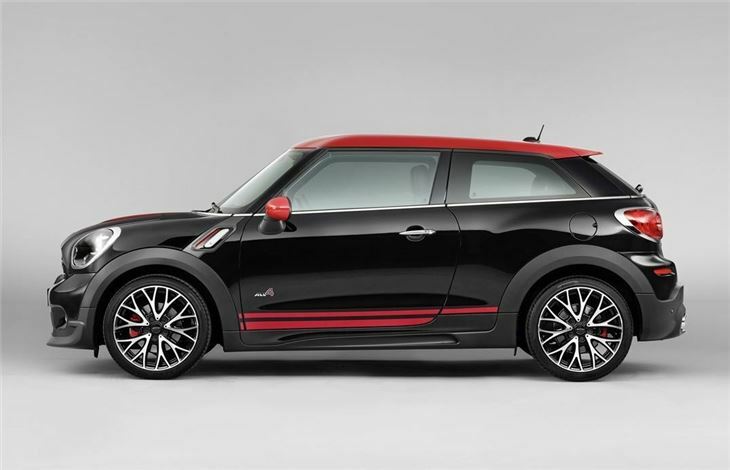 The Chili Red shade in these pictures is reserved for the John Cooper Works model only. Sales of the new car commence in March 2013. Not only grotesque in proportion but badly detailed as well. Cowley workers must shudder at what horror is likely to replace the current Mini!